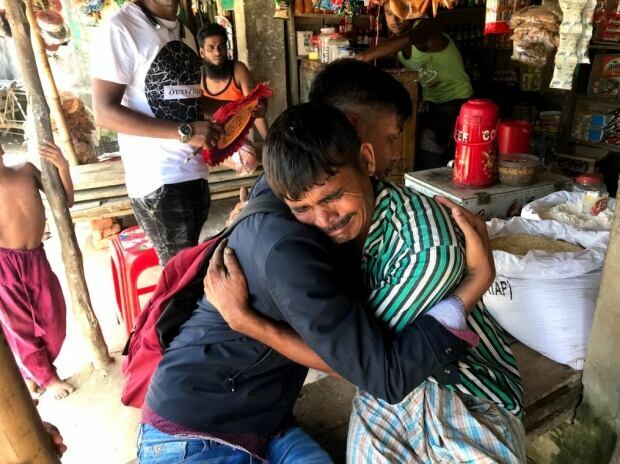 Amid the despair and hunger of a Rohingya refugee camp in Bangladesh, Ahmed Ullah watched as a young girl snuck into a food line. The Canadian aid worker looked on as the orphaned child — just five-years-old, with mental disabilities — tried to get something to eat. Instead, she was beaten by members of the Bangladeshi military. “They’re treating them worse than animals,” Ullah says. The Kitchener, Ont. resident spent two weeks helping Rohingya refugees in camps near Cox’s Bazar, a city and fishing port in south-eastern Bangladesh. A Rohingya himself, Ullah says the experience was a horrifying nightmare, far worse than the 15 years he spent in refugee camps before moving to Canada in 2009. Crowds of hungry children swarmed his car at the camps, he recalls, knocking on the windows for food, money — anything to help them survive. And, for many families, draped plastic was their only shelter. At one point, Ullah was injured in a car accident during the trip, and watched as a woman cried for a help and a man died in front of him while he was waiting for care at a hospital. Even though his injuries were minor, Ullah says he was treated before the refugees. Sitting near the arrivals gate at Pearson Airport after returning to Canada on Friday night, the 24-year-old says he’s on a mission to expose the plight of his fellow Rohingya Muslim refugees, members of a long-persecuted religious minority who are fleeing Myanmar. Since late August, more than 580,000 refugees have arrived in Bangladesh, driven from their neighbour to the east by violence — a situation denounced by both the United Nations and Amnesty International. 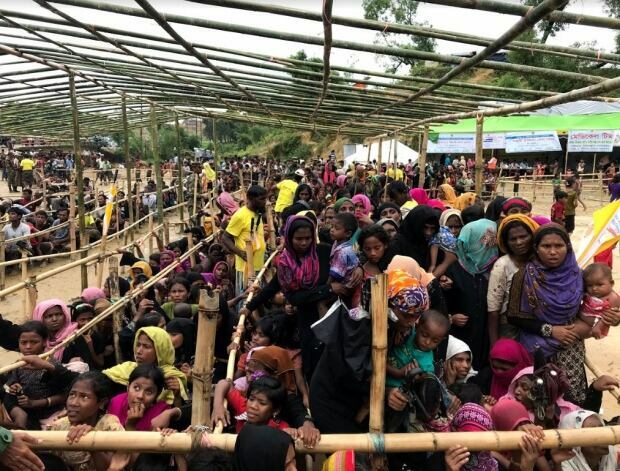 But amid the growing global outcry, a News investigation recently found there are signs several UN figures and other international actors, including a key Canadian official, have been hesitant to pressure Myanmar on the rights of the Rohingya. There are also allegations that some officials ignored warnings of ethnic cleansing altogether, something the UN has rejected.